Facade installation has begun at Selldorf's 7 story, 11 unit condo building on the fashionable Bond Street. 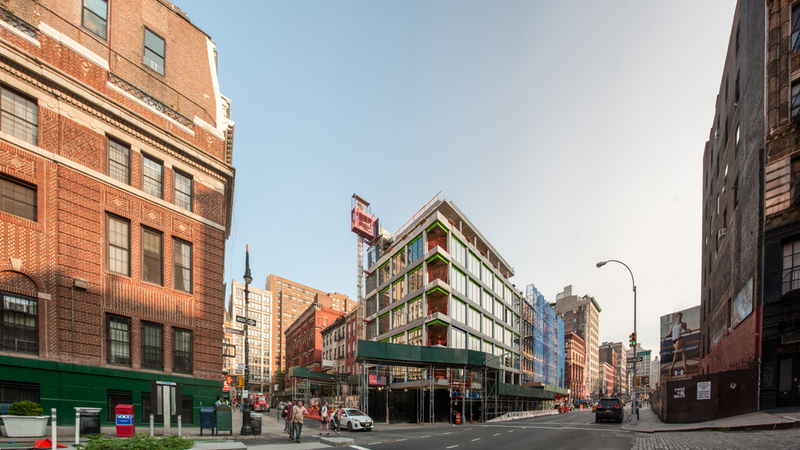 Since the previous update, the majority of the windows have been installed on floors 02-06 and the first terracotta panels have been installed on a second floor window on the Lafayette street façade. 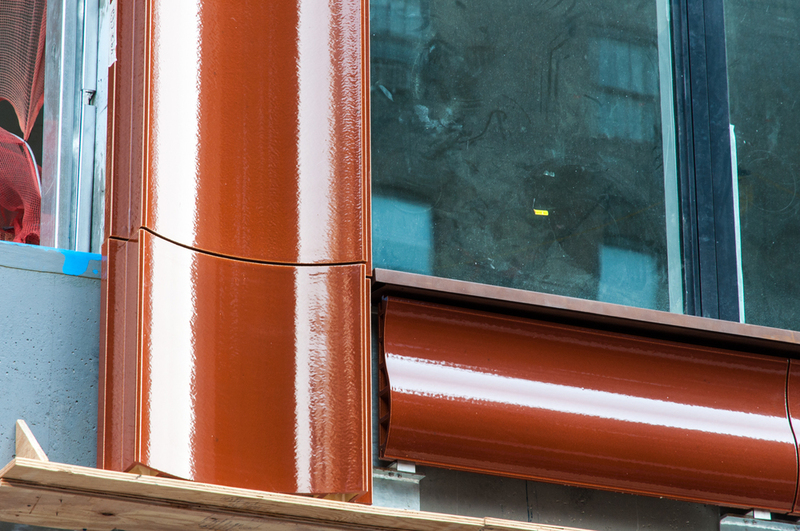 The concave and convex shapes of the terracotta panels will provide depth and register the change in light throughout the day. The south façade on Bond Street. Looking north at the corner of Lafayette Street and Bond Street. The east façade on Lafayette Street. Terracotta panels installed around a second floor window. Detail of the terracotta panels. Detail of the terracotta panels at the window head. Detail of the terracotta panels at the window sill. The northeast corner of 372 Lafayette (Morris Adjmi Architects) with 10 Bond to the left. Architects: Selldorf Architects; Program: Residential, Retail; Location: NoHo, New York, NY; Completion: 2015.